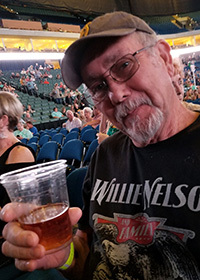 Ronald “Bub” Lewallen, 61, of Wellington, died Tuesday, April 16, 2019, at his home in Wellington. Funeral Services will be held at 10:30 a.m., Monday, April 22, 2019, at the First Presbyterian Church in Wellington. Burial will be at the Prairie Lawn Cemetery in Wellington. Visitation will be Saturday from 1 to 7 p.m. with the family receiving friends from 5 to 7 p.m. A memorial has been established with the Wellington Golf Course and may be left with the Shelley Family Funeral Home 704 N. Washington, Wellington, KS 67152. To leave an online condolence please visits www.shelleyfamilyfh.com. 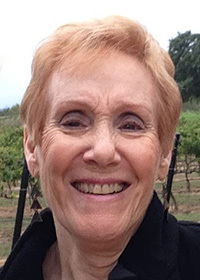 Wanda Evelyn (Gilges) Roths, 83, of Wellington died April 18, 2019, in Wellington. Mass of Christian Burial will be held at 10 a.m., Wednesday, April 24, 2019, at St. Anthony Catholic Church. Rosary will be Tuesday, April 23, 2019 at 7 p.m. at St. Anthony Catholic Church. Visitation will be Tuesday, April 23, 2019, from 9 a.m. until 6 p.m. at the Shelley Family Funeral Home in Wellington. A memorial has been established with the St. Anthony Altar Society may be left with the Shelley Family Funeral Home 704 N. Washington, Wellington, KS 67152. To leave an online condolence please visits www.shelleyfamilyfh.com. Wanda Evelyn (Gilges) Roths was born October 21, 1935, in Maysville, AR to her parents Waldo Gilges and Grace (Moomey) Gilges. 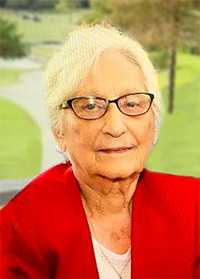 Wanda and her family moved to Kansas where she attended Conway Springs schools and was Homecoming Queen and graduated in 1954. She met and married the love of her life Cyril Roths on August 18, 1954, at St. Joseph’s Catholic Church by Father Tareline. 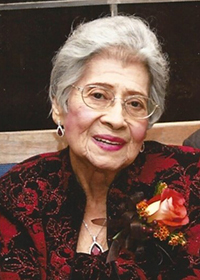 Savina H. Soria, 93, Wellington resident for most of her life, died Wednesday afternoon, April 17, 2019 at her home. Savina worked as a nurse aide at Wellington Hospital for 23 years. Savina was born on October 27, 1925, in Wellington to Alberto P. Macias and Teodora (Bernal) Macias. She was the oldest of 13 children. She married Manuel R. Soria on December 21, 1946, in Wellington. 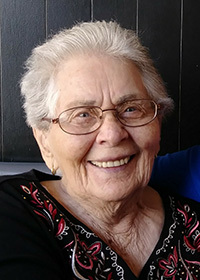 Manuel preceded her in death on March 29, 2017. Savina was an active member of the St. Rose Catholic Church and Parish Circle and the American Legion Auxiliary. She helped with Bingo at the Legion for many years. She enjoyed working at the Thrift Shop and was an excellent cook, wife, mother, and grandmother. 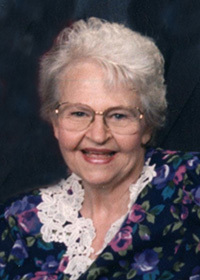 With family by her side Carol L. Atchley, of Amarillo, Texas, died Wednesday, March 6, 2019 at the age of 90. Carol was born the daughter of Floyd and Mabel (Sears) Jones on Sunday, August 12, 1928, in Milan. On August 30, 1950, Carol and Thurston L. Atchley were united in marriage in Mena, Arkansas. Together they celebrated 47 of years of marriage. Carol enjoyed sewing all through her life. She would sew, make wedding cakes and do ironing for income. Carol loved to create porcelain Victorian dolls. She was quite the artist. She took after her father in that way. They were both very talented. She painted beautiful oil paintings and chalk art. 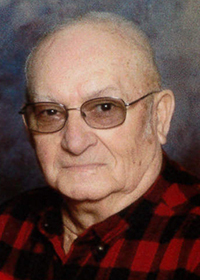 Holland Monrow Creed, age 96, a Wellington, resident for the past 65 years, died April 13, 2019, at his home. He was a farmer and a welder. Holland was born on February 14, 1923, on a farm in rural Anson to Wiley Austin Creed and Lola (Hare) Creed but was raised by Wiley and his step-mother, Dollie Creed. 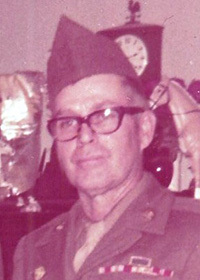 Holland served in the United States Army with the 24th Medical Battalion during WWII. He married Velma Evelyn Finley on October 20, 1943, at the Antlers Hotel in Wellington, KS. She preceded him in death on June 20, 2010. He is preceded in death by his parents; two sons, Marvin Creed, and Clarion Creed; four sisters, Flora Standridge, Mary Warren, Emma Riggs, and Necia Bilson; three brothers, Kerry, Eliga, and Dan Creed; one grandson, Jason Creed. 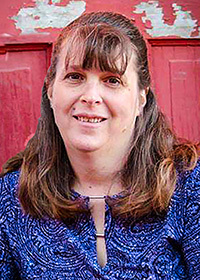 Tammy Friesen, of Wellington, died on Friday, April 12, 2019, at Sumner Regional Medical Center at the age of 47. Tammy was born the daughter of Ray and Becky (Crossno) Vizner on Friday, December 3, 1971, in Belleville. On August 17, 1996, Tammy and George Friesen were united in marriage in Wichita. Together they celebrated over 22 years of marriage. She was a Para Professional at Lincoln Elementary where she loved and specialized in working with special needs children. Tammy was very gifted at this and enjoyed lifting their spirits and confidence. She will be missed by all that knew her. Opal Lois Oathout White was born on October 2, 1925 on the home place in Grant County, Okla. She was the seventh of eight children born to Minnie and J.L. Oathout. She and her younger sister Eva were “PaPa’s Little Girls.” She died on April 8, 2019 at the Botkin Care & Rehab Center in Wellington. She was 93 years, 6 months and 6 days old. When Harold returned from World War II, they began their family. To this union came four children, Kenton Eugene, then exactly 1-year later came Byron Lee, followed by Rodney Clark and Terre Lynne. 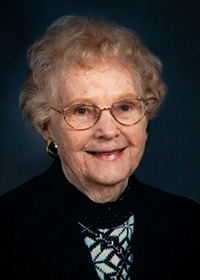 Wanita E. Brown, of Wellington and formerly of Belle Plaine, died on Sunday, April 7, 2019, at Brookdale Senior Living at the age of 99. Wanita was the daughter of Earl and Ona (Dittmeyer) Arthur. She was born on June 9, 1919, in Ringwood, Okla. On March 19, 1937, Wanita and Leo W. Brown were united in marriage. They celebrated 70 years of marriage before his passing in 2008. John and Belle Arthur, Wanita’s grandparents, made the Oklahoma Cherokee Strip Run of 1893 and settled East of Ringwood. Wanita’s parents raised their family on what was part of the strip. Wanita retired from Cessna Aircraft after many years working in the Upholstery Department. She was a member of the Belle Plaine United Methodist Church. On Monday, April 1, 2019, Gary Lee Rowe, loving husband of 52 years, father of three children and grandfather of eight, died at the age 71. Gary, was born on September 24, 1947 in Winfield, KS to Clarence and Delberta Rowe. He served in the US Army and completed a tour in Vietnam with the Big Red 1 infantry in 1969. 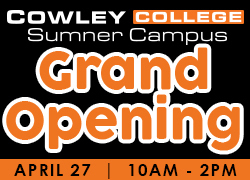 He earned his Master’s degree in healthcare administration from George Washington University in 1973 and a bachelor’s degree from Southwestern College in 1971. Gary spent his professional career working to improve health care for patients in each of the hospitals where he served as Chief Executive Officer. On November 24, 1967, he married Ruby Rae McCall and together, they raised three sons, Chris, Aaron and Jeff. Gary had a passion for Christ, he loved his family and would play golf any chance he had. He loved to travel with his wife to spend time with family, friends and play golf courses all over the world. He was known for his loving personality, his sense of humor and his desire to help people. Thomas was born the son of John J. and Lynn (Black) Powell on Sunday, February 23, 1947 in Salina. Thomas served his country in the United States Army and later joined the United States Air Force Reserves. He retired from the Reserves as a Staff Sergeant in 1994. Thomas was employed as a Trackman with BNSF Railroad and retired in 2008 following a 30 year career. He enjoyed living in Oklahoma where he would fish and hunt with family and friends. Thomas enjoyed working on old vehicles and going to swap meets with his brother and kept his mind sharp studying history. Matthew Wayne Ast, of Belle Plaine, died Thursday, April 4, 2019 at his home in Belle Plaine at the age of 52. Matt was born the son of Beverly (Neises) and Daniel Ast on Saturday, March 25, 1967 in Wellington. Matt graduated from Belle Plaine High School in 1985. 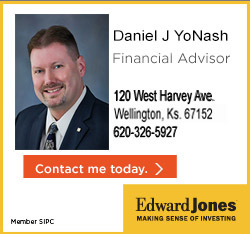 Following high school, he attended Wichita Area Vo-Tech and graduated with a mechanic degree. 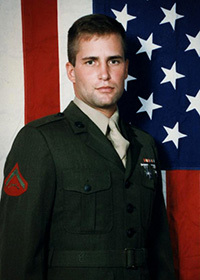 Matt served his country in the United States Marine Corps from January of 1991 to January of 1997. Farming was a large part of Matt’s life. He farmed as a child through college and continued after his military service. On October 29, 2000, Matthew and Tina Caudell were united in marriage in Eureka Springs, Arkansas. Together they celebrated 18 years of marriage. 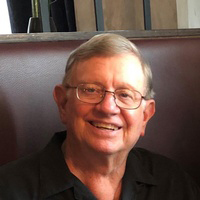 Richard Joseph LeJuerrne, age 68, died peacefully at his home in Augusta, on Tuesday, April 2, 2019. He is survived by his wife of 50 years, Carol LeJuerrne; son, Richard “Rick” LeJuerrne, Jr. and wife Martha of Topeka, KS; daughter, Shelly Anderson and husband Lance of Wichita, KS; grandchildren, Bella, Caroline, and Joe LeJuerrne, Natalie, Josie, and Pierce Anderson; brother, Kenneth LeJuerrne and wife Jenny of Wichita, KS; beloved dog, Scout. Richard was born in Wichita, on December 20, 1950. During his childhood, he lived in Seattle, Wa., St. Louis, Mo., Macon, Ga., and Wichita, Kans. His family settled in Wellington. His father, Roland Joseph LeJuerrne “Joe”, mother, Rosie LeJuerrne, and sister, Connie Jones preceded him in death. 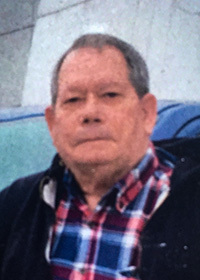 Charles L. Barton, 80, died April 1, 2019, at his home in Wellington. Memorial services will be held at 2 p.m., Saturday, April 6, 2019 at the Christian Family Ministry 4502 S. Seneca St., Wichita, KS 67217. To leave an online condolence please visits www.shelleyfamilyfh.com. Charles Leroy Barton was born on June 29, 1938, the son of Frank and Ruby (Hutchinson) Barton in Pitcher, Okla. Charles served his country in the United States Navy. He was united in marriage with Linda Calloway on July 29, 1969 in Wichita, KS. Charles worked for the Richie Brothers in Wichita, KS. 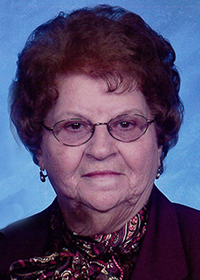 Delores Fay Miller (“Dee”), 97, of South Haven, died on April 2, 2019, in Oklahoma City, Okla. Dee was born the daughter of Clifford A. Robinson and Effie May (Hamblet) on November 25, 1921. Dee was raised on a family farm north of South Haven, graduating from South Haven High School in 1940. She married Ralph Miller on December 3, 1941, in Wichita, and together they created a life through hard work, devotion, grace and giving, whose impact will endure well beyond her passing. Dee kept the books and ran the register for several service station businesses that they owned over the years in the South Haven area. 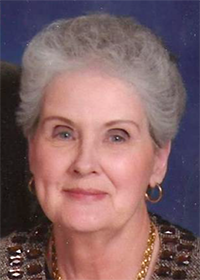 She was an accomplished quilter, excellent cook (specialty – chicken and noodles) and an active member of the South Haven community and South Haven United Methodist Church. She loved to read, play cards, watch baseball (Cardinals and Royals), a Kansas Jayhawk sports fan and quietly kept Ralph inline. 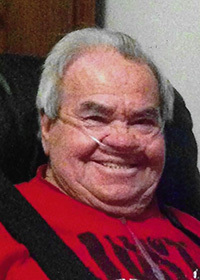 Eldon Leroy Gould, age 69, of Wellington, died April 1, 2019, at Wesley Medical Center in Wichita, KS. He was the former President of Metal Forming, Inc. in Belle Plaine. He retired in 2012. Eldon was born on April 10, 1949, in Nashville, KS to Virgil Gould and Dorothy (Withers) Gould. 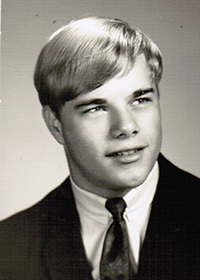 Eldon was raised in the Pratt, area and graduated from Pratt High School in 1967. He married Deanne Marie Dugan on December 6, 1974, in Wichita, KS. 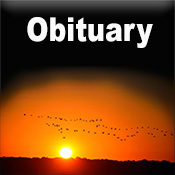 Venita Goodnight, 86, of Oxford, died Sunday, March 31, 2019, at the Joy Home in Oxford. Memorial Services will be held at 10:30 a.m., Thursday, April 4, 2019, at the Oxford Funeral Service Chapel in Oxford. No visitation is scheduled. 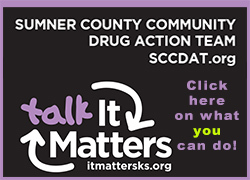 Memorials have been established with Alzheimer’s Association and the Diabetes Association. Contributions can be left with the Oxford Funeral Home, P.O. Box 123, Oxford, KS 67119. For further information please visit www.oxfordfuneralservice.com. Venita Rae Goodnight was born December 10, 1932, the daughter of Floyd and Thelma (Bradford) Ramsey in Winfield, KS. She graduated from Winfield High School in 1950. Venita was united in marriage to Claude Goodnight on August 27, 1953, in Arkansas City. Venita enjoyed antique shopping, quilting, painting and owned Goodnight Gifts in Oxford. She also enjoyed fishing and camping with her husband. Carter Harris Moser (85) was born in Saint Louis, Mo. on May 3, 1933, and died in Wellington, on March 29, 2019. He married Janice Kay Donathan in Tulsa, Okla. on April 2, 1960. Carter exemplified a life of service and devotion to his family and country. He grew up in Wellington, KS and graduated from Wellington High School, Class of 1951, before attending Kansas State University. In 1954, he joined the United States Navy as a Naval Aviation Cadet (NavCad). Upon completion of NavCad training, flying the SNJ, T-28 and S-2, he was commissioned as a Naval Officer and Aviator in 1956. He had a rich and diversified 24-year career as a Naval Aviator. 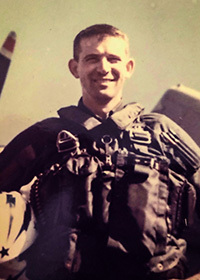 Early in his Navy career, he flew helicopters including the Bell HTL, Piasecki HUP, Sikorsky H-34 (HUS) and Kaman UH-2, completing multiple deployments around the world. Most notably, he traveled to Antarctica on an early expeditionary phase of Operation Deep Freeze. He also survived a HUP crash in the South Pacific, subsequent to an engine failure. Margaret embraced others. She spent 15 years working as the administrative coordinator for UKSM, a Ryan White program. Her key responsibilities included organizing the dental clinic, where she made many friends, and playing a significant role in planning and executing fundraising events. She valued the time spent and relationships made through her work. She was a hard worker who was never afraid of a challenge. CultureCow: If you post a picture in front of Notre Dame, are you really helping? 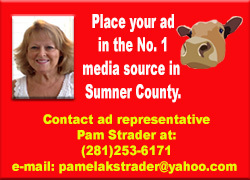 © 2019 Sumner NewsCow. All Rights Reserved.